Petrol in Diesel Car? Wrong Fuel? Call Fuel Rescue 24/7! Diesel in Petrol Car Dublin, Ireland. Petrol in Diesel? Diesel in Petrol? Most calls are attended within 40 min. The most cost efficient way to get your vehicle back on the road with minimum downtime. With over 40 years experience we are established motor industry professionals and operate our business to the highest standards. 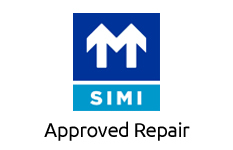 We guarantee all our work and our aim is 100% customer satisfaction. 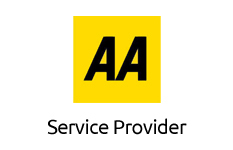 Fantastic service on tuesday Ciaran was amazing , I was so stressed out .. after filling my diesel car with Petrol . The service was fast and efficient. Ciaran was also very kind and helped a very stressful situation resolve. Thank you! Hi I just had my car RESCUED. I put Petrol into my Diesel car. I Called Fuel Rescue and they were with me within 30min. What a professional service, I was back on the road in 30min. The guy was courteous and explained the whole process to me and put my mind at ease. I thought that this would never ever happen to me…. Take my advise and call this company when it happens to you….. Philip (Ballymount, Saturday 14th June) Thank you. Regards, Philip Carter Carter & Byrne Ltd.
Sorted within 90 minutes of making my call. Very nice chap was with me in 45 mins as promised when I called. And he did not make me feel like an idiot (which I was!). I would recommend Fuel Rescue to anybody who puts the wrong fuel in their car. I called them on a Sunday evening, and they were with me within 40 minutes. They emptied a full fuel tank, flushed the system, and had me back on the road within another 45 minutes. They were friendly, professional, and efficient. Cannot recommend highly enough. Guys were out to help us within minutes and worked really hard to get us restarted. Super guys, great service. Having recently earned my place in the ‘repeat offenders’ club I feel well placed to recommend Fuel Rescue call-out service. Thanks to Ray and the lads for their prompt and efficient service. Their friendly manner takes the sting out of a bad experience. Very efficient service. Only took about 40 mins. Really helpful man who explained exactly what he was going to do very friendly and made it all so easy. Worth the money!! I can’t recommend this service highly enough. I put petrol into my diesel car last thursday and luckily it was spotted when I went to pay so I hadn’t turned on the engine. I called Fuel Rescue and Ray was with me within 40 mins, he was pleasant efficient and had me back on the road in no time. He also didn’t make me feel stupid which was an added bonus! Many thanks. I filled my tank with petrol instead of diesel and within minutes fuel rescue was on it’s way to me. Took no time at all an the staff were very helpful! Don’t Panic and don’t start the engine or turn on the Ignition. Don’t top up the tank after you discover the mistake. Filled a diesel car with petrol this Sunday evening, rang Fuel Rescue & they were with me in 40 minutes as promised, had the tank drained & the fuel pump flushed out in no time. Ray was very efficient, informative & reassuring. Great service & would highly recommend. Although hope I don’t need him again anytime soon! Thanks again! Thank you for your help! Very friendly service, arrived promptly (quicker by ten minutes than announced), thorough, helpful in every way, explained the process with all the details I wanted to hear. Saved the day (and my engine). Both men treated me with the greatest respect and were utterly helpful and professional in their approach. Bualadh bas mór for Fuel Rescue and the service they provide. Thank you so much to Ger today. It’s was his anniversary and he came out. Lovely gentleman and sorted my mistake out so quickly. Would highly recommend. Again thank you very much.